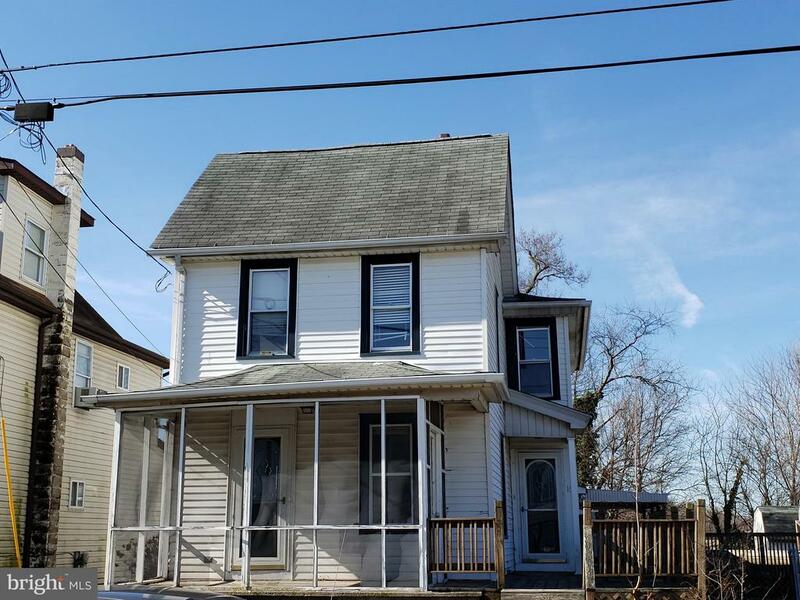 All Pedricktown homes currently listed for sale in Pedricktown as of 04/20/2019 are shown below. You can change the search criteria at any time by pressing the 'Change Search' button below. If you have any questions or you would like more information about any Pedricktown homes for sale or other Pedricktown real estate, please contact us and one of our knowledgeable Pedricktown REALTORS® would be pleased to assist you. "This sale includes approximatly 8.11 acres (Block 44 Lot 1.02 in Pedricktown) and approximatley 5.07 acres (Block 44 Lot 1.03 in Pedricktown) and .6 acres (Block 29 Lot 4.03 in Carneys Point). Property is currently being farmed. It is zoned Commercial/Industrial. The Property is serviced by 3 phase electric, natural gas, and city water are available and on site, septic would be required.. The property has previously been delineated for wetlands . A local engineer has done work in anticipation of various projects that have been explored, and has extensive knowledge of the site. This would be a great location for a building in the 50-100,000 sq ft range along with some solar opportunity to reduce or eliminate the facilities electric bill. This property is farm assessed. Roll back tax to be considered." "Welcome to your new home in the Country! This 3 Bedroom, 1 1/2 bath home was built in the late 1800's which is evident by the square nails and post and beam construction in the barn. It has been miraculously updated and kept with a historical flair. Enjoy dinner on the back deck overlooking the original barn and fields as far as the eye can see. Also in the backyard is an office building complete with heat and air. This is prime land! Perfect for a gentleman farmer, a horse ranch, a vineyard, or even a developer! 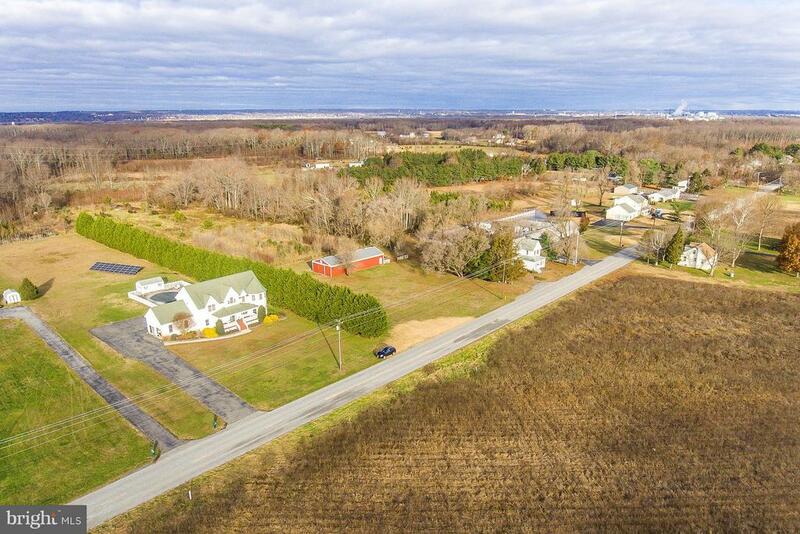 21 Acres Total including the prestigious home, open fields and wooded land.... Half an hour from Philadelphia, Pennsylvania and Wilmington, Delaware. A must see! Come take a look!" "Welcome to The Estates at Oldman's Creek. Phases I & II to be built, 19+ homes each phase for a Total of 40+ new single family homes. In pre construction stage by Costa Homes, Inc. This prestigious location offers premium 1.15 - 7 acre lots with executive quality homes. 5 Stunning Models to choose from. Room sizes in this listing are for the Manchester Model. This model home will feature a minimum of 4 bedrooms, 3.5 baths. Also-a first floor laundry room/mud room, office, and breakfast room. Some models offer optional rooms and 3 car garages. This model features a side entry 3 car garage. Amenities include hardwood flooring in formal living and dining rooms and study, wood flooring or Ceramic tile in entry and kitchen. main floor laundry room, powder room. Large eat in kitchen amenities include stainless steel appliances, choice of cabinets, breakfast area, island work centers, pantry & granite countertops. Oversized family rooms with gas fireplace. Master suite amenities include sumptuous master bath, sitting areas & walk in closets. 3 additional good sized bedrooms with full hall bath or jack and Jill bath. Full high basement, poured concrete. Option available for basement upgrades that include- 9 ft verses 8 ft ceiling, finished basement, and a walk up outside basement entrance. All models will feature a 2 or 3 car garage, side entry. Prices starting at $395,000. This model base price starts at $549,900. Several elevations to choose from as well and numerous upgrades and options available. Site to open in spring of 2019 get your pre construction pricing now. Additional features and options include multiple elevations per model, bonus rooms, sunroom, and conservatory. Builders list of additional upgrades. Subject to changes, errors, and omissions." "Welcome to The Estates at Oldman's Creek. Phases I & II to be built, 19 +homes each phase for a Total of 40+ new single family homes. In pre construction stage by Costa Homes, Inc. This prestigious location offers premium 1.25 - 7 acre lots with executive quality homes. 5 Stunning Models to choose from. Room sizes in this listing are for the Calgary Model. All homes will feature a minimum of 4 bedrooms, 2.5 baths. Some models offer optional rooms and 3 car garages as upgrades. Amenities include hardwood flooring in formal living and dining rooms and study, wood flooring or Ceramic tile in entry and kitchen. main floor laundry room, powder room. Large eat in kitchen amenities include stainless steel appliances, choice of cabinets, breakfast area, island work centers, pantry & granite countertops. Oversized family rooms with gas fireplace. Master suite amenities include sumptuous master bath, sitting areas & walk in closets. 3 additional good sized bedrooms with full hall bath or jack and Jill bath. Full high basement, poured concrete. Additional basement upgrades available include- 9ft verses 8ft ceilings, finished basements, and walk up entrance to yard. 2 car garage, side entry. Prices starting at $395,000. Several elevations to choose from as well and numerous upgrades and options available. Site to open in spring of 2019- get your pre construction pricing now. These photos is a different model and location site of the builder." "Welcome to The Estates at Oldman's Creek. Phases I & II to be built, 19+ homes each phase for a Total of 40+ new single family homes. In pre construction stage by Costa Homes, Inc. This prestigious location offers premium 1.25 - 7 acre lots with executive quality homes. 5 Stunning Models to choose from. Room sizes in this listing are for the Harvard Model. Also available is a Harvard Model with a curved staircase, and 3rd full Jack and Jill bathroom with a base price of $469,900. All homes will feature a minimum of 4 bedrooms, 2.5 baths. Some models offer optional rooms and 3 car garages as upgrades. Amenities include hardwood flooring in formal living and dining rooms and study, wood flooring or Ceramic tile in entry and kitchen. main floor laundry room, powder room. Large eat in kitchen amenities include stainless steel appliances, choice of cabinets, breakfast area, island work centers, pantry & granite countertops. Oversized family rooms with gas fireplace. Master suite amenities include sumptuous master bath, sitting areas & walk in closets. 3 additional good sized bedrooms with full hall bath or jack and Jill bath. Full high basement, poured concrete. Basement upgrade options include- 9ft verses 8ft ceiling height, finished basement, and walk up exterior entrance. 2 car garage, side entry. Prices starting at $395,000. Several elevations to choose from as well and numerous upgrades and options available. Site to open in spring of 2019, get your pre construction pricing now! Options and upgrades include multiple elevations per model, conservatory & sunroom. Builder has list of all options and upgrades. Subject to changes, errors, and omissions." "Welcome to The Estates at Oldman's Creek. Phases I & II to be built, 19 homes each phase for a Total of 40+ new single family homes. In pre construction stage by Costa Homes, Inc. This prestigious location offers premium 1.25 - 7 acre lots with executive quality homes. 5 Stunning Models to choose from. Room sizes in this listing are for the Toronto Executive Model. All homes will feature a minimum of 4 bedrooms, 2.5 baths. Some models offer optional rooms and 3 car garages as upgrades. Amenities include hardwood flooring in formal living and dining rooms and study, wood flooring or Ceramic tile in entry and kitchen. main floor laundry room, powder room. Large eat in kitchen amenities include stainless steel appliances, choice of cabinets, breakfast area, island work centers, pantry & granite countertops. Oversized family rooms with gas fireplace. Master suite amenities include sumptuous master bath, sitting areas & walk in closets. 3 additional good sized bedrooms with full hall bath or Jack and Jill bath. Full high basement, poured concrete. Additional basement option upgrades include- 9ft verses 8 ft ceilings, finished basement, and walk up outside entrance. 2 car garage, side entry. Prices starting at $395,000. Several elevations to choose from as well and numerous upgrades and options available. Site to open in spring of 2018, get your pre construction pricing now. These photos are models at different builders sites of the builder." "Welcome to The Estates at Oldman's Creek. Phases I & II to be built, 19 +homes each phase for a Total of 40+ new single family homes. In pre construction stage by Costa Homes, Inc. This prestigious location offers premium 1.15 - 7 acre lots with executive quality homes. 5 Stunning Models to choose from. Room sizes in this listing are for the Toronto Model. All homes will feature a minimum of 4 bedrooms, 2.5 baths. Some models offer optional rooms and 3 car garages as upgrades. Amenities include hardwood flooring in formal living and dining rooms and study, wood flooring or Ceramic tile in entry and kitchen. main floor laundry room, powder room. Large eat in kitchen amenities include stainless steel appliances, choice of cabinets, breakfast area, island work centers, pantry & granite countertops. Oversized family rooms with gas fireplace. Master suite amenities include sumptuous master bath, sitting areas & walk in closets. 3 additional good sized bedrooms with full hall bath or jack and Jill bath. Full high basement, poured concrete. Basement update options include - 9 ft verses 8 ft ceiling, finished basement and walk up to outside entrance. 2 car garage, side entry. Prices starting at $395,000. Several elevations to choose from as well and numerous upgrades and options available. Site to open in spring of 2019. Get your pre construction pricing now! upgrades and additional optional features include- multiple elevations per model, bonus rooms sunroom and conservatory. Builders list available. All information subject to changes, errors and omissions. These photos of different models and sites of the builder." "Welcome to The Estates at Oldman's Creek. Phases I & II to be built, 19+ homes each phase for a Total of 40+ new single family homes. In pre construction stage by Costa Homes, Inc. This prestigious location offers premium 1.15 - 7 acre lots with executive quality homes. 5 Stunning Models to choose from. Room sizes in this listing are for the Montana Model. All homes will feature a minimum of 4 bedrooms, 2.5 baths. Some models offer optional rooms and 3 car garages as upgrades. Amenities include hardwood flooring in formal living and dining rooms and study, wood flooring or Ceramic tile in entry and kitchen. main floor laundry room, powder room. Large eat in kitchen amenities include stainless steel appliances, choice of cabinets, breakfast area, island work centers, pantry & granite countertops. Oversized family rooms with gas fireplace. Master suite amenities include sumptuous master bath, sitting areas & walk in closets. 3 additional good sized bedrooms with full hall bath or jack and Jill bath. Full high basement, poured concrete. Option available for basement upgrades that include- 9 ft verses 8 ft ceiling, finished basement, and a walk up outside basement entrance. 2 car garage, side entry. Prices starting at $395,000. Several elevations to choose from as well and numerous upgrades and options available. Site to open in spring of 2019, get your pre construction pricing now.. Additional features and options include multiple elevations per model, bonus rooms sunroom, and conservatory. Builders list of additional upgrades. Subject to changes, errors, and omissions." 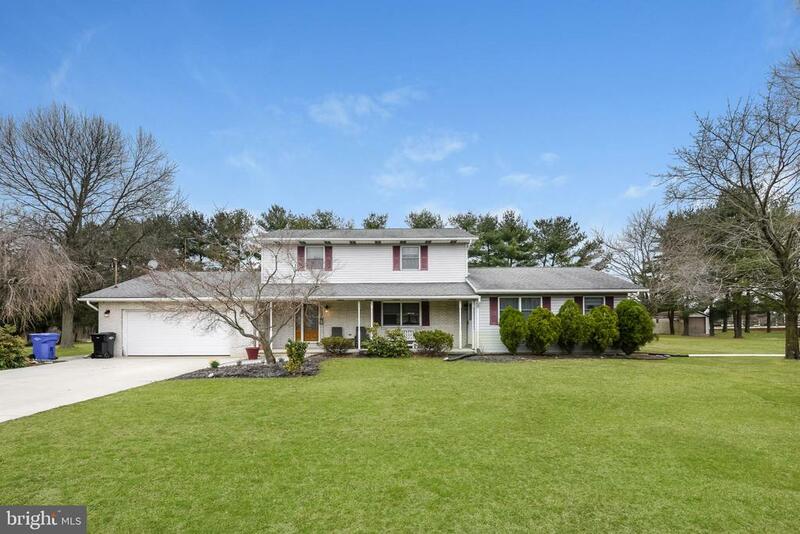 "Meticulously maintained 3 bedroom 2.5 bath colonial home with attached in-law suite in desirable Oldmans Township. This beautiful home features large rooms, beautiful front door and warm wood trim. Come visit the bright and spacious eat-in kitchen with updated granite countertops and backsplash and ceramic tile floor. The large living room and formal dining room have beautiful hardwood flooring that flows through both rooms. The separate family room has Boardwalk tile heated flooring, a fireplace and amazing views of the rear of the property. There is also an updated powder room and laundry/mud room on the first floor. On the second floor is hardwood flooring in the hallway that flows into the master bedroom with an on-suite bath with ceramic tile flooring. The two additional bedrooms are nicely sized and carpeted. The additional second floor full bathroom is fully tiled and features a double vanity, large soaking tub/shower and abundant storage for your linens. This home has newer Pella windows and doors. The over-sized two car garage features a pull-down attic for bonus storage.The attached in-law suite has a separate entrance and is not directly accessible from the main residence. The suite consists of a living room, full kitchen with new flooring and large laundry area with ample storage. The bedroom is nicely sized with good closet space and pull-down stairs to the attic for additional storage. The full bathroom has new flooring, vanity and a walk-in shower for easy accessibility. This suite has endless possibilities and can also be utilized as an office, media room or a place for your college student returning back home. Whether you are enjoying your morning coffee or a cold beverage during the warmer months, you will have a hard time choosing between sitting on the front porch or the picturesque back patio.This beautiful property is situated on approximately four acres (additional 3 acre lot included) in quiet Pedricktown. 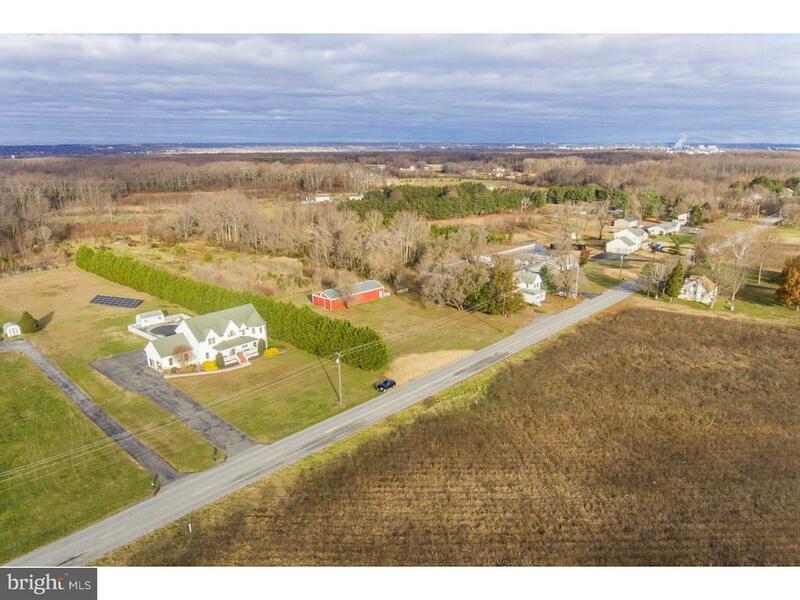 Close to Rt 295 and Rt 40 it"
"Opportunity of a lifetime! This is your chance to own 11.02 stunning acres only 7 minutes from Amazon Fulfillment Center of Logan Twp and Pureland Industrial Park! Including 2 acres of residential land, with over 9 acres of stunning farmland, this property has it all. 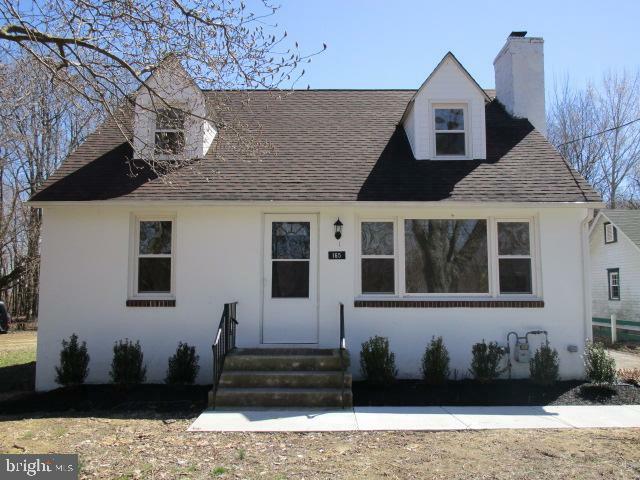 This prime location is minutes from 295, Commodore Barry Bridge, Wilimington DE, with easy access to Philadelphia and Shore Points. Not to mention, here you will feel miles from it all as you are tucked away in a quiet, rural corner with the best views of the 'Garden State'. With over 11 acres, the possibilities are endless. There is a HUGE, state of the art Barn on the property with unlimited dry space for storage, stables, or whatever you may need! Currently, champion dogs are trained on the property. The property used to be a Horse Farm, so if you are an animal lover or looking to raise and train your animals here, this is the property for you! As a BONUS, there is an ELECTRIC FENCE surrounding the land, making it truly PERFECT FOR HORSES, Dogs, or any other animal you wish to bring to this amazing property. Possibilities to SUBDIVIDE the land into four separate parcels. There is also a beautiful Victorian-Style Farmhouse on the property with a New Septic System. This home is currently being rented out to income generating tenants, so this is a fantastic opportunity to invest in multiple arenas. DO NOT WAIT ? This INCREDIBLE, Once In a Lifetime Opportunity will NOT last!" "The wait is over! 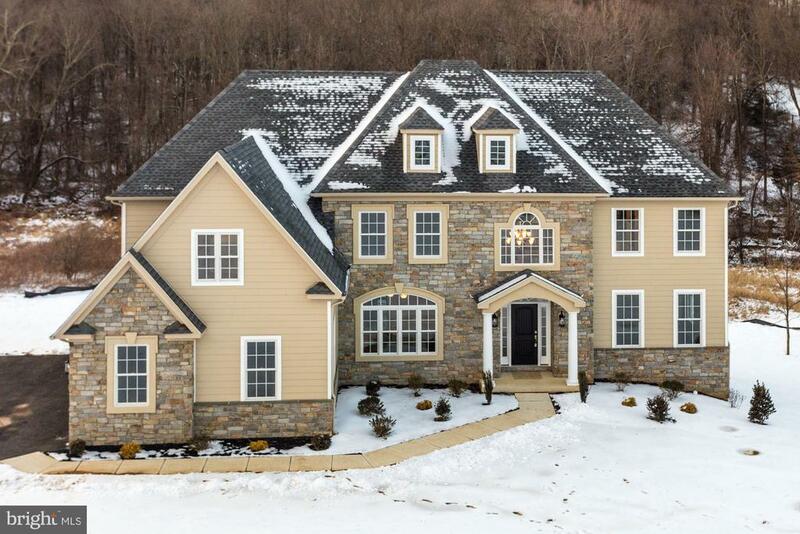 Come tour this better than new construction home. It is awaiting its new owner. Some of the upgrades you will find here are the large lot, that is situated on a corner for plenty of privacy. Inside this beautiful clean canvas home are hardwood floors on the first level, open floor plan, and plenty of natural light that offers a bright and cheery feel. In the kitchen there are granite counters, 42 inch cabinets, and ss appliances. There is also a gorgeous large morning room that adds to this great space as well. Upstairs you will find 4 large bedrooms with its very own master suite. Each bathroom upstairs has been upgraded with tile floors and granite counters. If all that is not enough there is also a finished basement that adds even more space to this generous sized home. Call today for you personal tour!" "Lovely and Charming describes this 3 to 4 bedroom Brick Front Rancher with a lovely open floor plan. 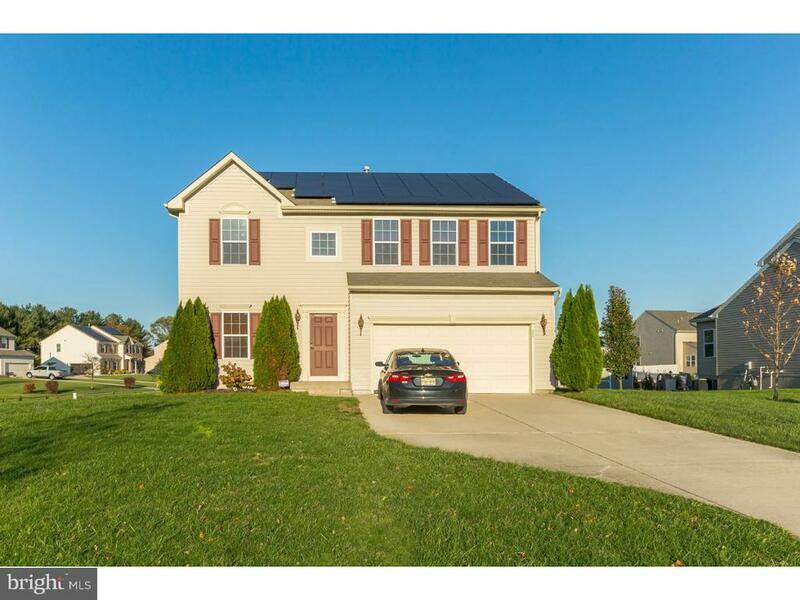 Featuring oversized 2 car garage, Gas Fireplace LR, w/brick accent. Large rooms, good closet space,beautiful H/W laminated flooring. Great country kitchen, dw, pantry, upgrade ceiling fans. Newer roof, heater, a/c, tankless h/w, fp, hugh concrete patio for parking 10+ cars, more info and pics coming soon. Make your appt today!!" 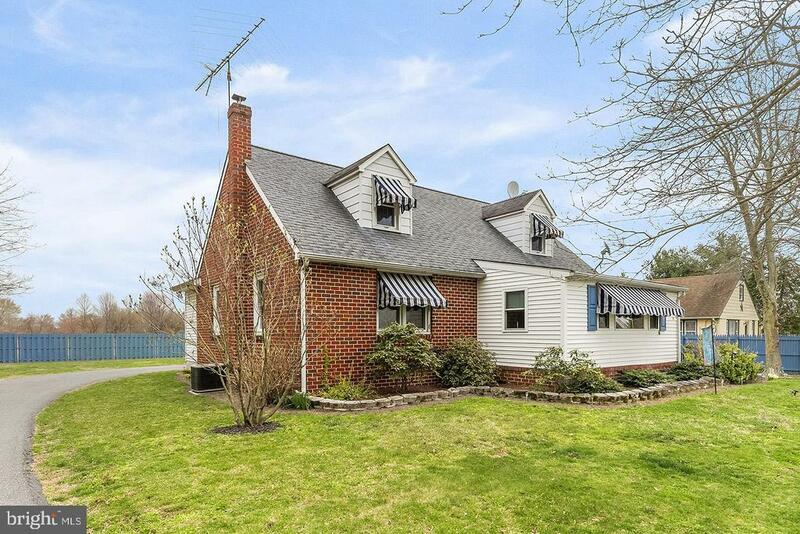 "Lovely Brick Cape Cod Style home in Oldmans Township!! 3 bedrooms, 2 full bathrooms, large eat-in kitchen with chair rail, wood flooring, ceiling fan and plenty of counter space. The first floor master bedroom has a dressing room/sitting room full bathroom and laundry room. Spacious family room, enclosed front porch, second floor has 2 huge bedrooms, ceiling fans, vinyl replacement windows, full basement has been professionally water proofed and makes a great area for the ping pong table or other games to be played, central air conditioning, oil FHA heat, detached one car garage with garage door opener is 24 x 24 offering plenty of room for the lawn equipment or a great place for your shop. The outside features fencing on three sides for privacy, nice landscaping and a large screened in gazebo to enjoy a bug free atmosphere. Call today for all the details!!" 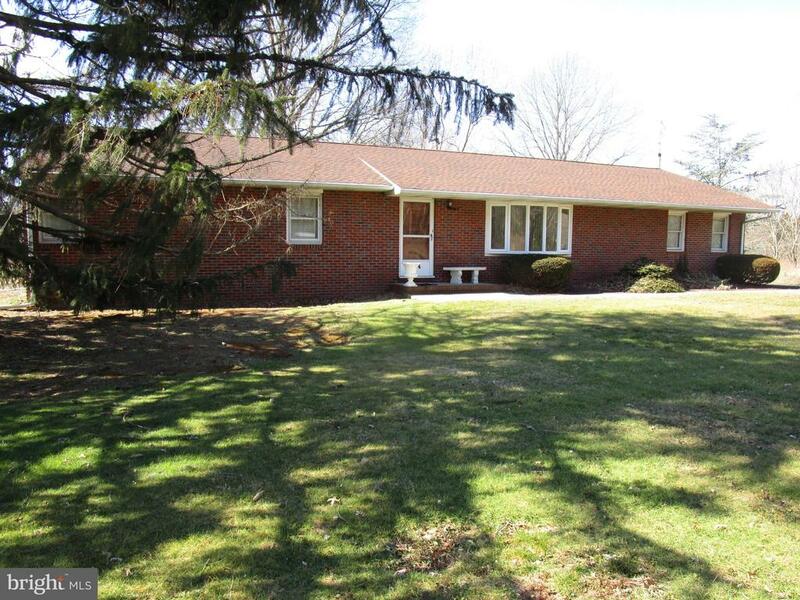 "County roads take me home....3 bedroom brick ranch on an ACRE lot in desirable Oldmans Township. Hardwood floors waiting to be uncovered, huge utility room and attached 2 car garage, fenced of partial backyard, Nice sized bath with separate shower and tub. Location is key with this property. Close to area highways and bridges for an easy commute!" "If you're looking for a home with character and spacious yard - this is your place. Seller is completely renovating this home. 3 bedrooms and 1 bath located in Oldmans Township. All new electric service/panel (150 amp), kitchen, bathroom, flooring, drywall/painting, water treatment system and will provide a survey. Septic and Well have passed. Could be your home sweet home Priced to sell - make an appointment today! Conveniently located to Delaware Memorial Bridge (tax free shopping), Commodore Barry Bridge or I-295 and just a few minutes to the NJ Turnpike, you're close to everywhere you want to go!" "Priced to Sell!! MOTIVATED SELLER!!! Very nice 4 bedroom Cape Cod located in Rural Pedricktown. This home features an over size garage great for the hobbyist." 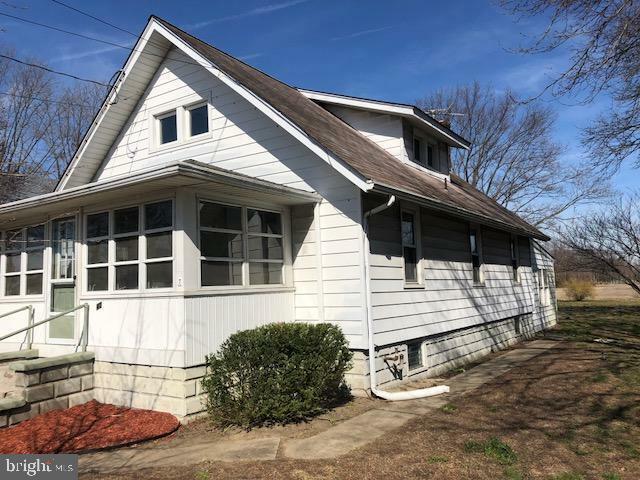 "This Fannie Mae Homepath property is a Bunglow located in Oldmans Township and features an enclosed porch on the front and back of the home. The exterior of the home features a spacious backyard and a 2-car garage and driveway. Entering the home through the enclosed front porch is the entrance into the living room which leads to a spacious dining room with a sunroom on the one side and the kitchen situated behind the dining room. Off of the kitchen is a laundry room and a full bathroom. Walking down a few steps where you can also access the full basement, is a bonus room that exits onto the covered back patio. The main floor features 2 bedrooms and 2 full bathrooms. The upper floor features a large bedroom. 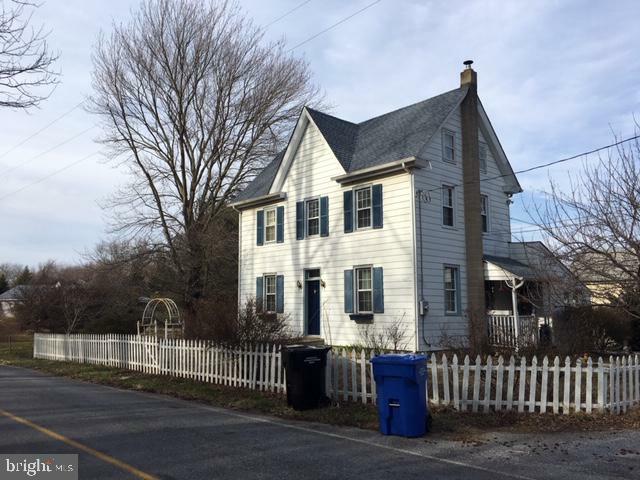 This home is close to major highways such as 295 for traveling." "Sprawling one story home. Picturesque country setting. 1.5 Acres of country living at its best. 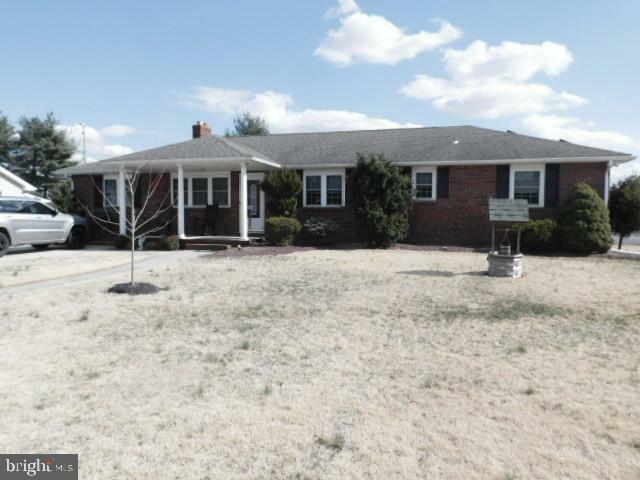 This large brick rancher does need some updating but is ready for a new owner ready to create their own little piece of country paradise." 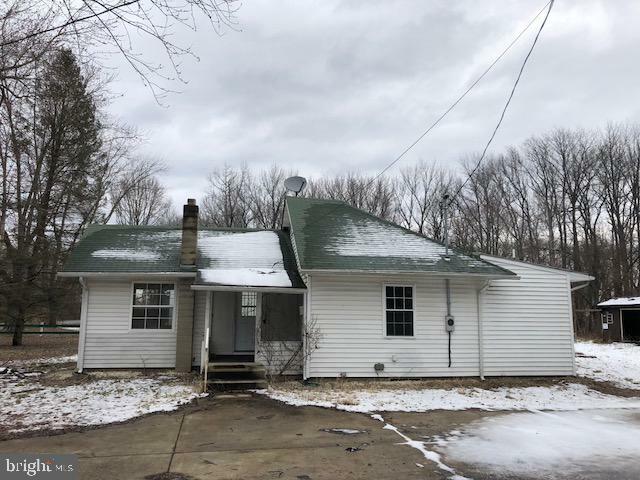 "This Bungalow is located in Oldmans Township in Salem County, and features 2 bedrooms and 1.5 bathrooms. The interior of this home also features an eat-in kitchen, wood-burning brick fireplace, dining room, family room and a living room. This home contains a partial basement. The exterior features a front porch, and 2 sheds. 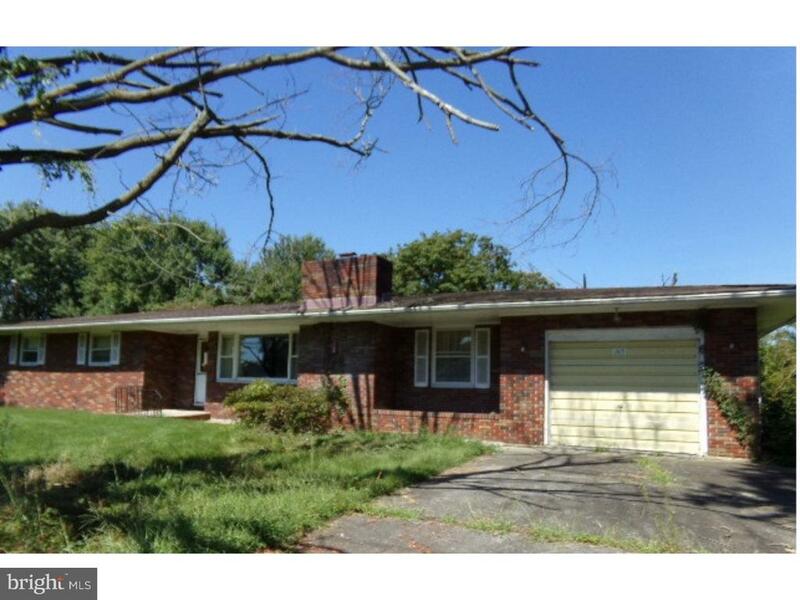 This home is located near Harding Highway and the Delaware River."